Following fashion trend is one interesting thing I do, for me it has become an irresistible hobby. So I noticed the pom pom sandals trend sometime around last quarter of 2015, then I had not started blogging but I kept on checking on the success rate of this sandals and I can assure you it’s so popular today. With the likes of Riahanna, Kim K, our very own Tiwa Savage, Rukky Sanda, Stella Uzo and some other enviable celebs and chics rocking the pom pom sandals, believe you me it has become more of an “in-thing”. From my observation, the Aquazzura brands of pom pom sandals seems to be the most popular but thanks to goodness the sandals later sold for half the price of it’s original price of $825 so more ladies can afford this lovely piece. 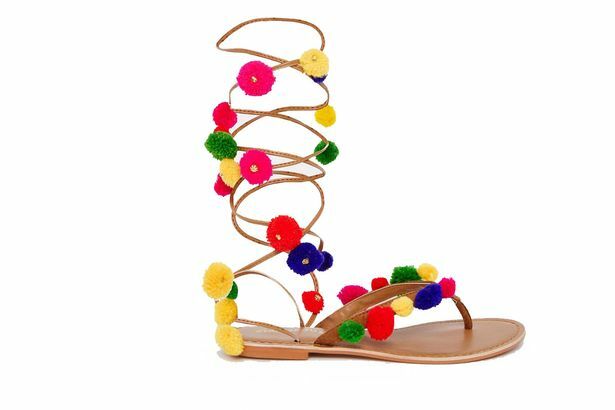 Other fashion designers who have pom pom sandals in their collection include but not limited to Zara, Asos, Elina Linardaki Penny Lane, Loeffler Randall, Dolce & Gabbana, Azzedine Alaia.Again, Asos’s Tan Tie Up pom pom Flat Sandals sold for as low as $43 and less…hmm!! Lovely, right? Ok!So I also came across Ehmonie Hainey of Whatshaute.com and I promised myself I will share her lovely idea of making your own pom pom sandals by yourself. Click on http://whatshaute.com/index.php/2016/07/tutorial-diy-pom-pom-sandals/ to visit her blog. I have plans to DIY a pom pom sandals myself and will share as soon as I get that done.Thanks to Ehmonie for sharing. So lovely readers it will be a lovely idea to give your feet a pom pom treat………….Lol either by DIYing one for thyself or buying one…..hmm!! How do I sound? 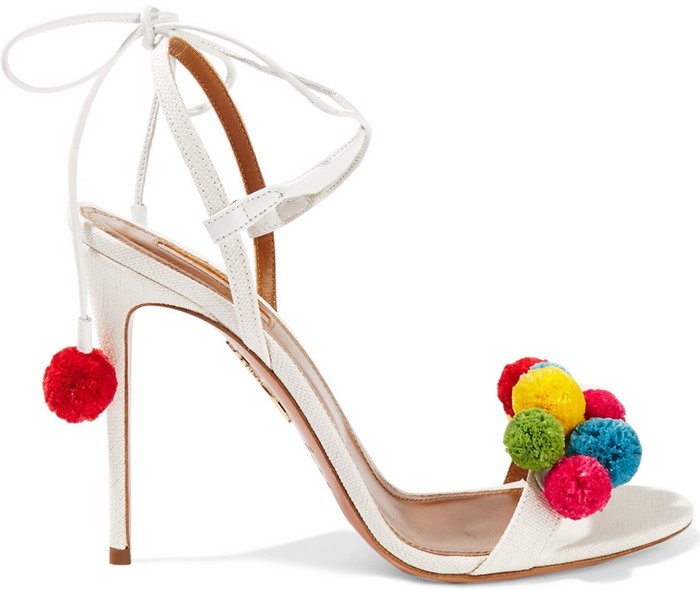 All I am trying to say is that I think the pom pom sandals are lovely and “a-nice-to-have” for a lady.